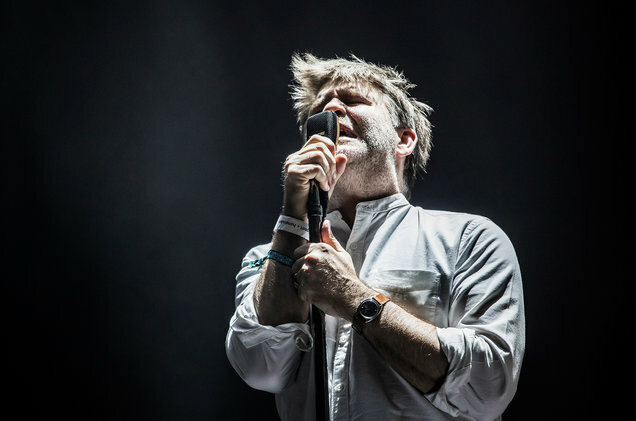 James Murphy of LCD Soundsystem performs in concert during the second day of Primavera Sound 2016 on June 2, 2016 in Barcelona, Spain. The back-from-the-dead version of LCD Soundsystem will play the first shows at Brooklyn Steel, an 1,800-capacity-venue on the east side of the borough’s Williamsburg neighborhood. Just unveiled this afternoon (March 28), the opening run manages to include more shows (five!) than the New York City dance punks have studio albums (three). April 6 marks the first gig, followed by shows on the 7th, 8th, 10th and 11th. For those still hankering for a taste of Murphy and company after their festival-heavy 2016 reunion run, tickets go on sale March 30 at 12 p.m. Upon reuniting last year (their first show back was March 27 at NYC's Webster Hall), LCD inked a deal with Columbia Records and announced plans to release a fourth studio album. That still hasn’t materialized, though Murphy recently insisted the new music isn’t far away. Could the band be planning to unveil more than just a new venue? D.R.A.M. performs at Bowery Ballroom on Jan. 21, 2017 in New York City. After the LCD run, Brooklyn Steel’s schedule features previously-announced shows with the likes of the Decemberists and PJ Harvey over the next several months. The new venue is booked by Bowery Presents, the promoter that also books NYC venues like Terminal 5 and Music Hall of Williamsburg. It recently announced a partnership with AEG Live, which operates festivals like Coachella and Goldenvoice, both of which LCD played last year.